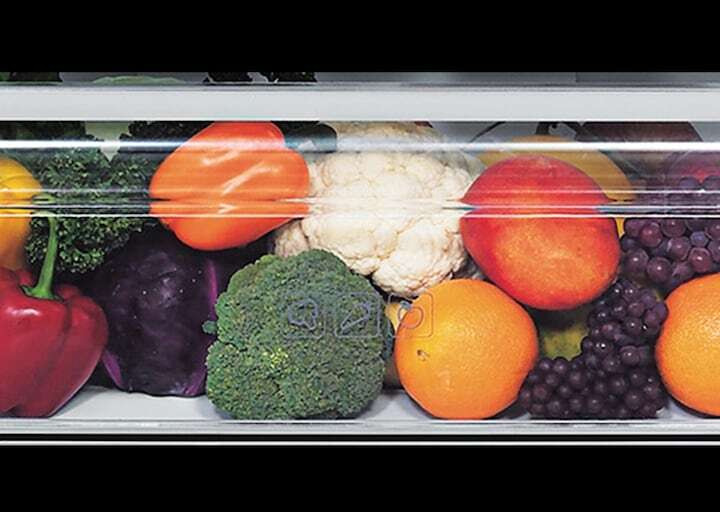 Keeping food in optimal condition starts with Twin Cooling. 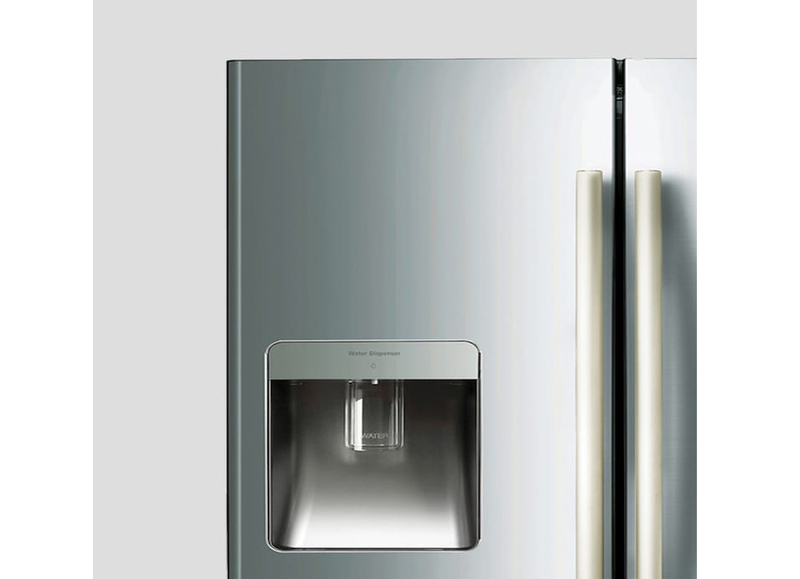 Our Twin Cooling technology cools your refrigerator and freezer separately, whilst helping outstanding temperature and humidity control to help minimise the mixing of odours. For chilled water straight from the door. Plumbing required for the auto ice-maker. 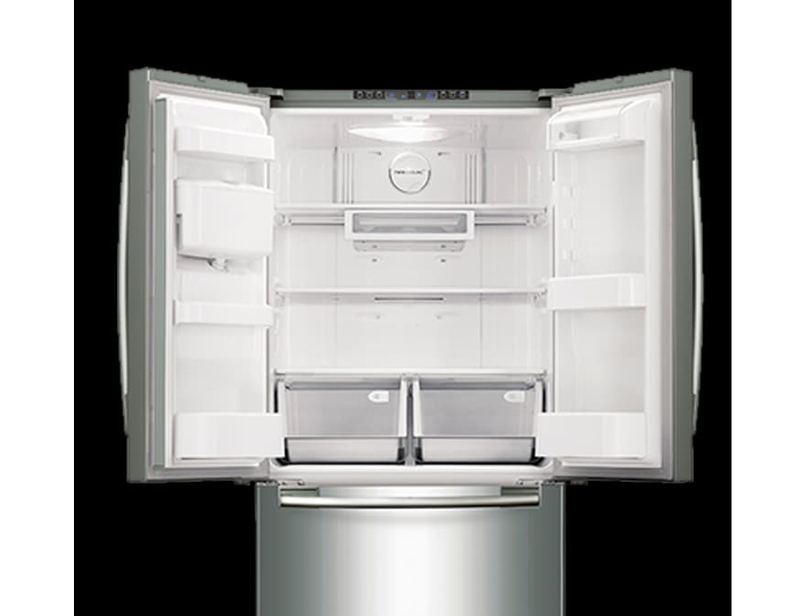 Discover the benefits of space and convenience with this large capacity refrigerator, to help you store fresh food and beverages with ease. 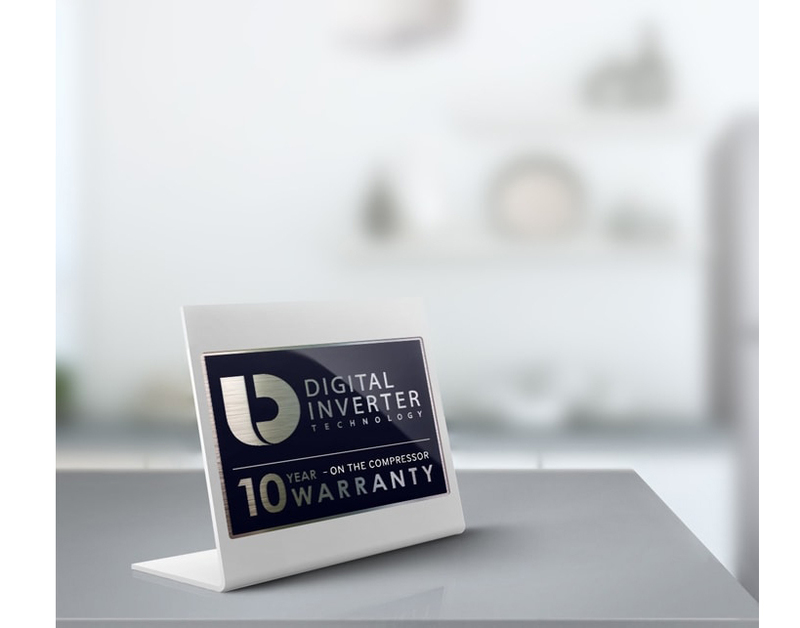 We offer a 10 year parts warranty on the digital inverter compressor* that powers this refrigerator**.